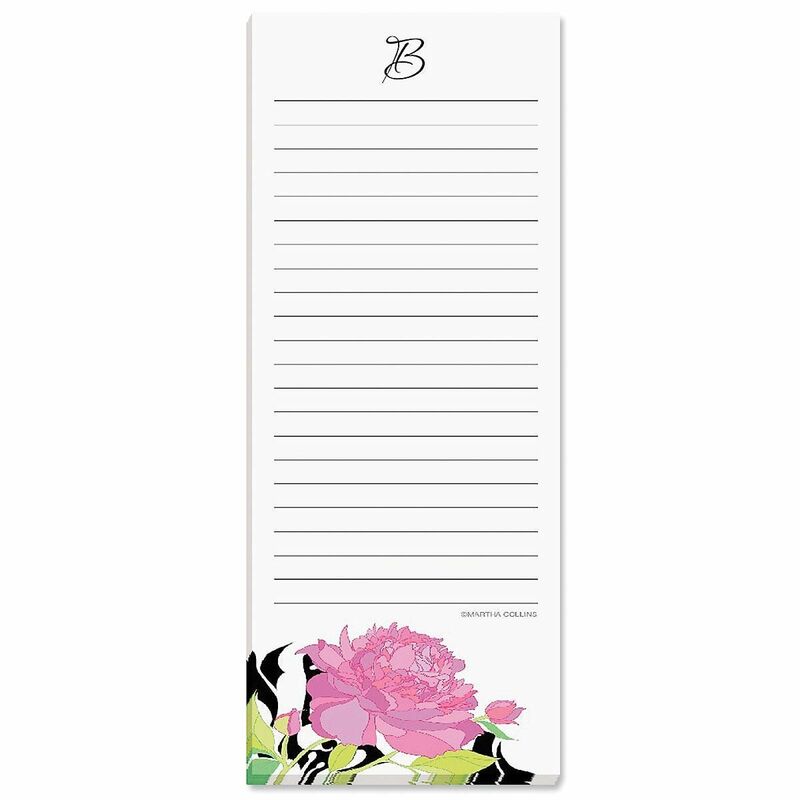 "Now where did I put my list?" 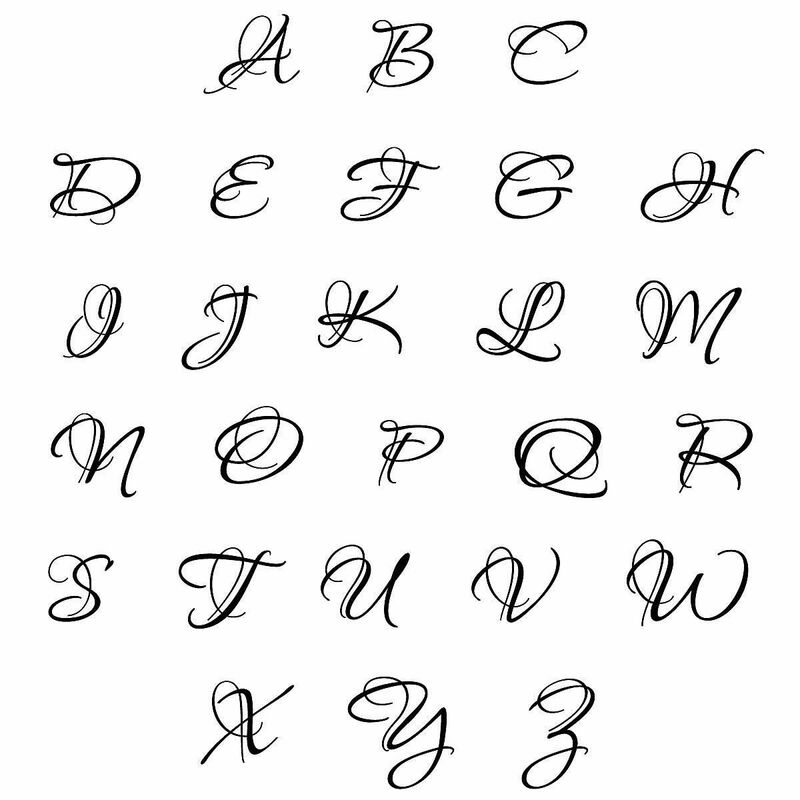 Everyone is familiar with that question. 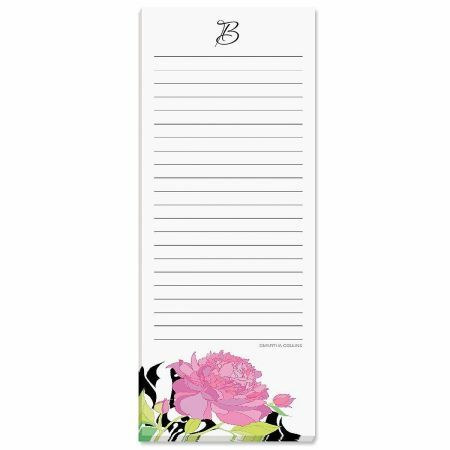 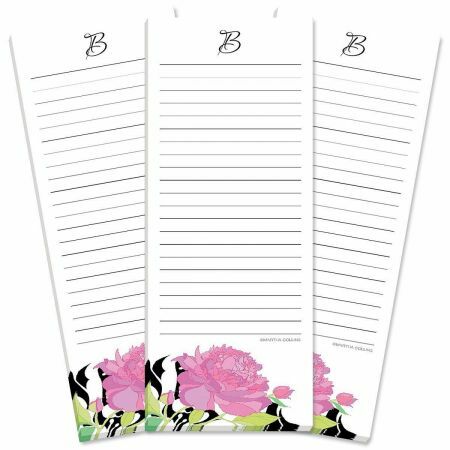 Our gorgeous floral personalized list pads will help you keep track of your to-dos, ideas, action steps, grocery lists, and other important details, all in one handy place. 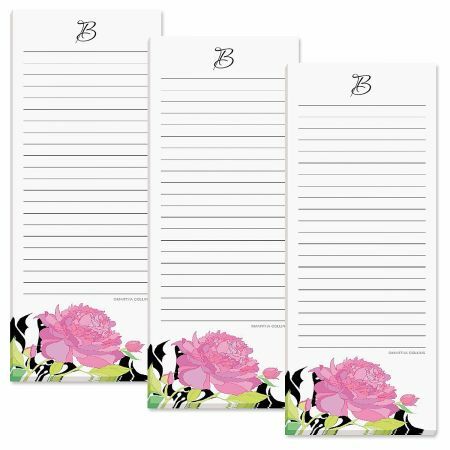 Convenient for home and office, or in your vehicle or purse, each lined 3 1/4" x 8" list pad contains 30 sheets. 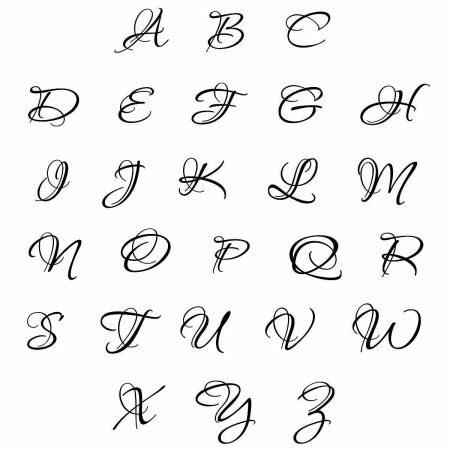 We'll add your monogram initial on all 3 slimline helpers. Pads come in a gift package. 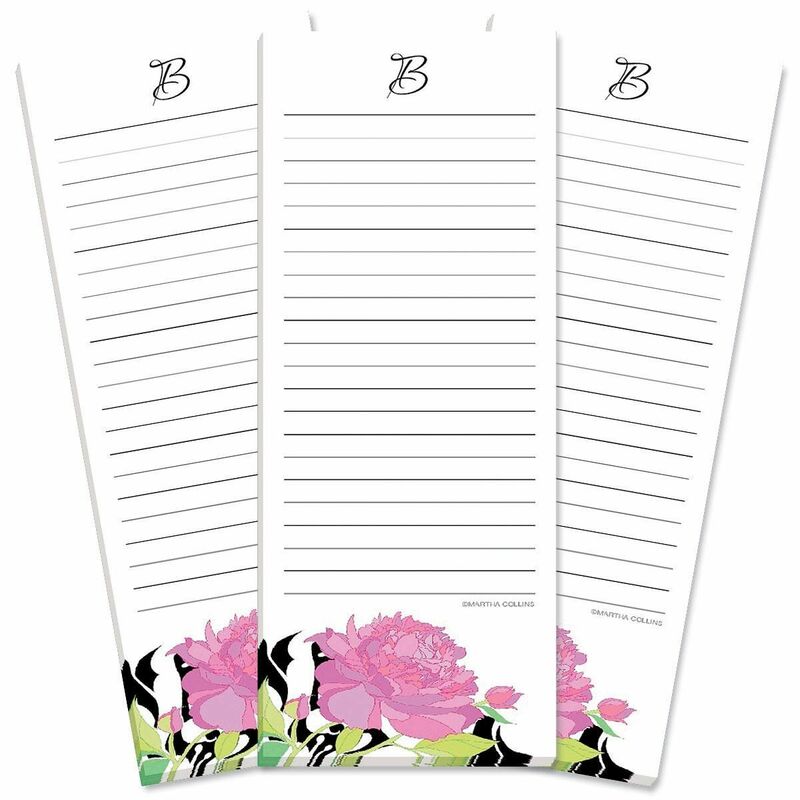 Set of 3 (single design).